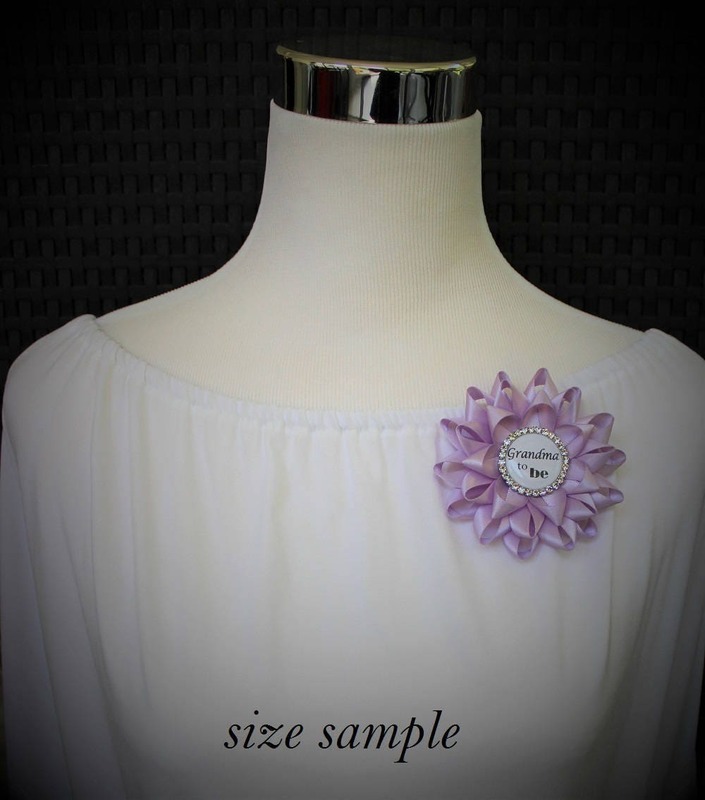 Planning a bridal shower or bachelorette party? 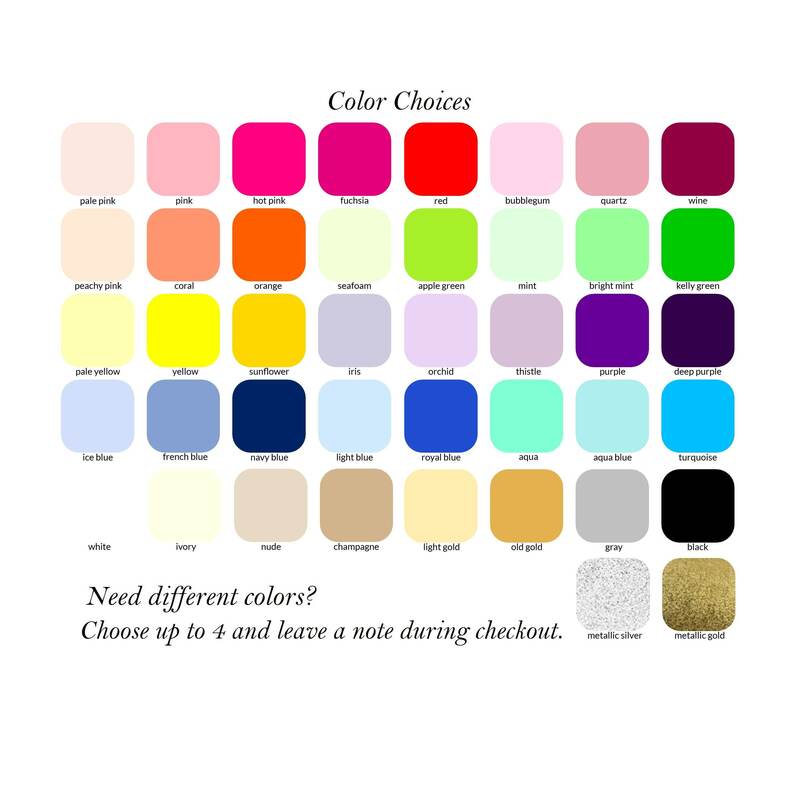 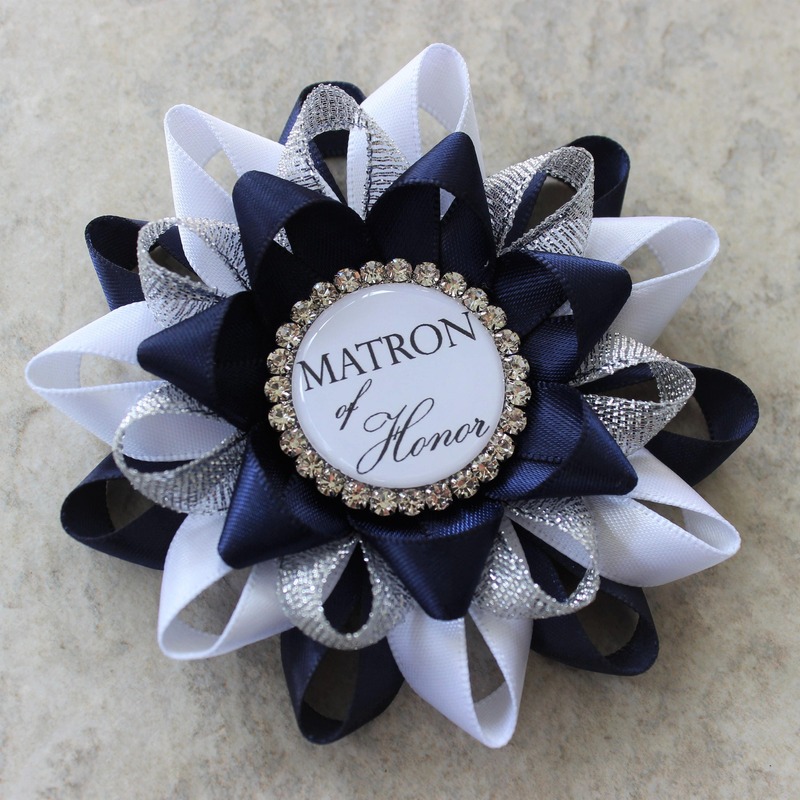 Give your guests of honor this pretty pin to wear! 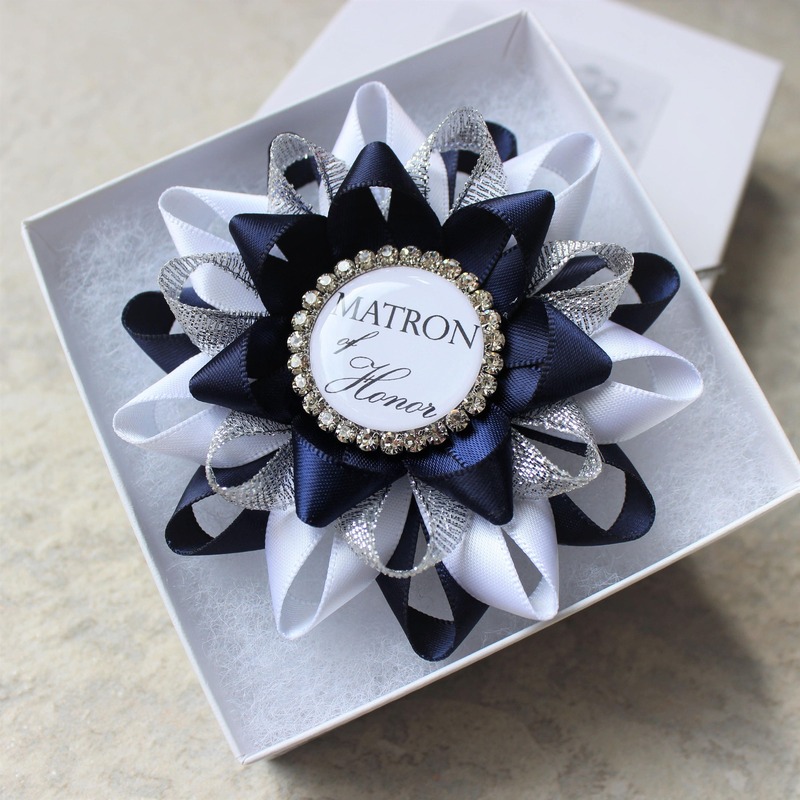 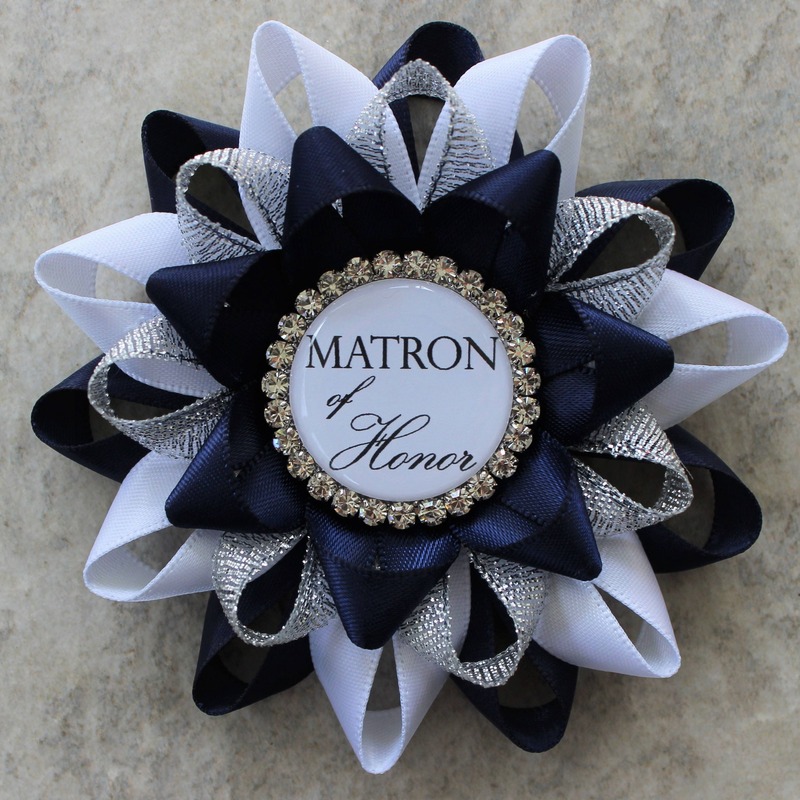 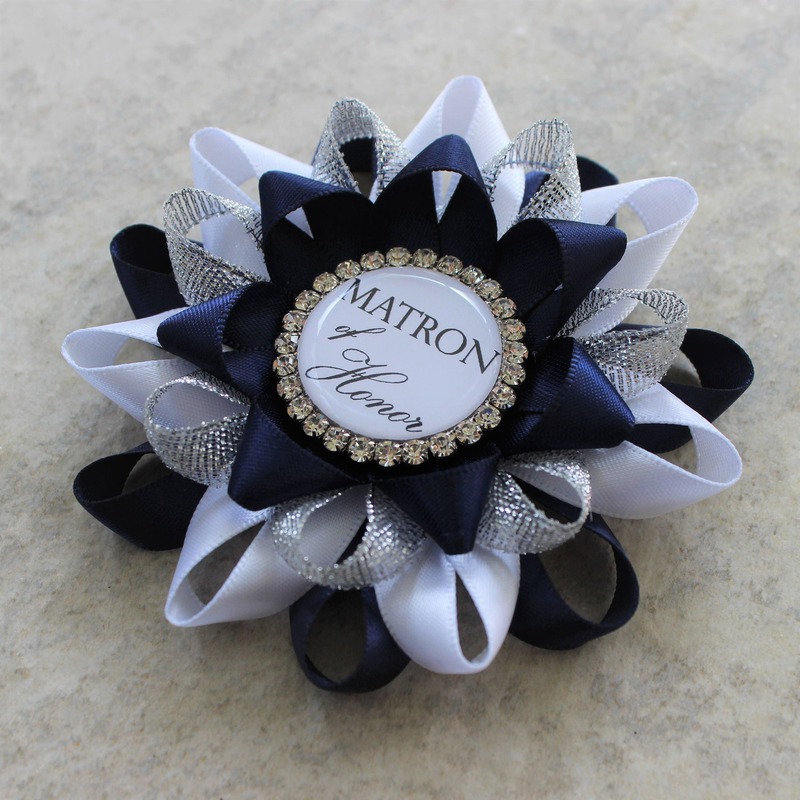 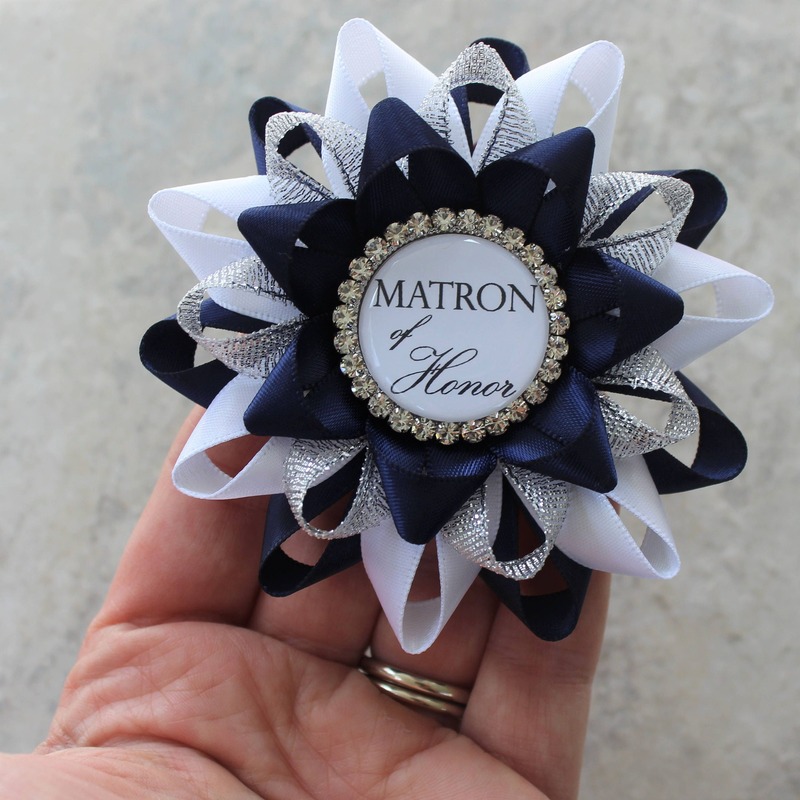 Each flower is 3 1/2" wide and handmade from Navy Blue, White and Metallic Silver ribbon. 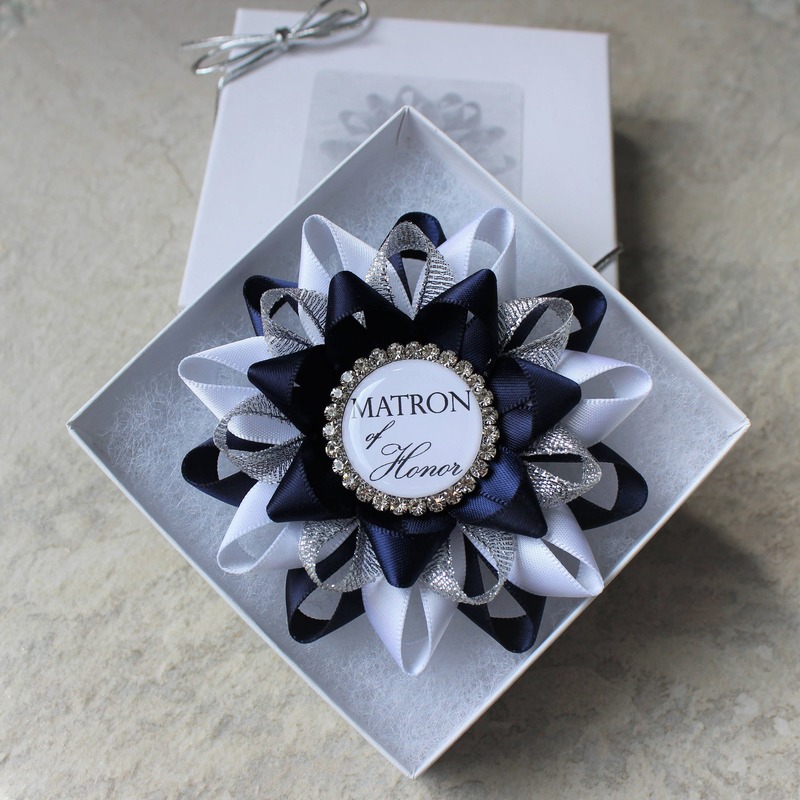 It has a pin backing and comes packaged in a cotton lined gift box with silver bow.